If you’re looking to speed up transaction processing and reduce errors, an EDI solution can make a significant impact. Seamlessly integrated with our ERP platform, EDI Solution for SYSPRO simplifies the mapping and translating required to exchange business transactions electronically between trading partners, customers and vendors. 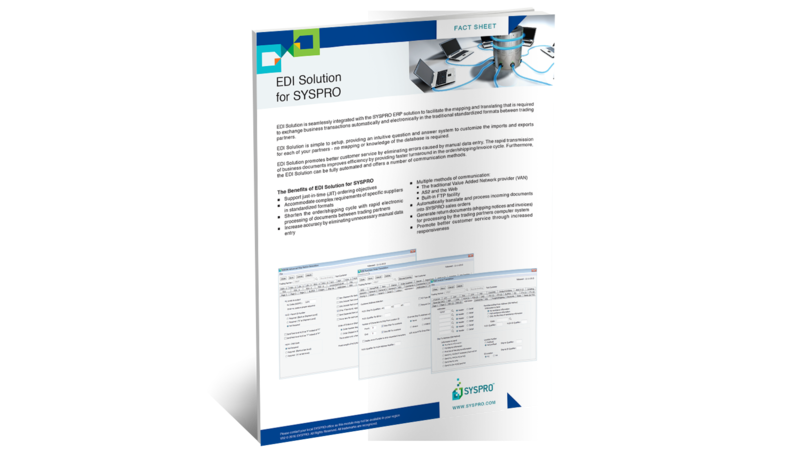 Download our SYSPRO EDI Solutions Brochure to learn more.